Exhibition view of Shahzia Sikander’s Apparatus of Power, at Asia Society Hong Kong. Photo by Scott Brooks. The Hong Kong-based collectors Ali and Amna Naqvi have greatly contributed to the development of contemporary Pakistani art. We spoke with them about their platforms, projects and vision. The Maecenas of the Pakistani art scene are called Amna and Ali Naqvi. Based in Hong Kong, they are real pioneers in their field in Pakistan and began their art collection more than 20 years ago. They started with local contemporary and modern art, but their collection has expanded over the years to include art from China, India, Indonesia, and Japan. 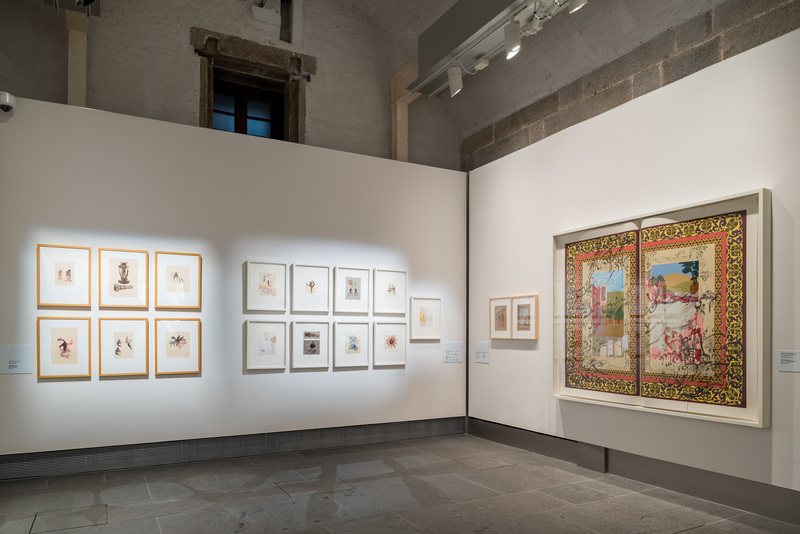 Today, the AAN Collection comprises of over 900 works of art, ranging from 3rd Century Gandhara sculptures to 17th Century Mughal miniatures to contemporary artworks by artists, such as Shahzia Sikander, Ai WeiWei, Takashi Murakami, Imran Qureshi, Rashid Rana and Zhang Xiaogang. Works from the collection have been part of major exhibitions at over 40 global institutions including Metropolitan Museum of Art, New York, Guggenheim Museum, Bilbao, Venice Biennale, MAXXI Museum, Rome, Sharjah Beinnale, Belvedere Museum of Art Vienna, Singapore Art Museum, Mohatta Palace Museum Karachi and Asia Society, Hong Kong. 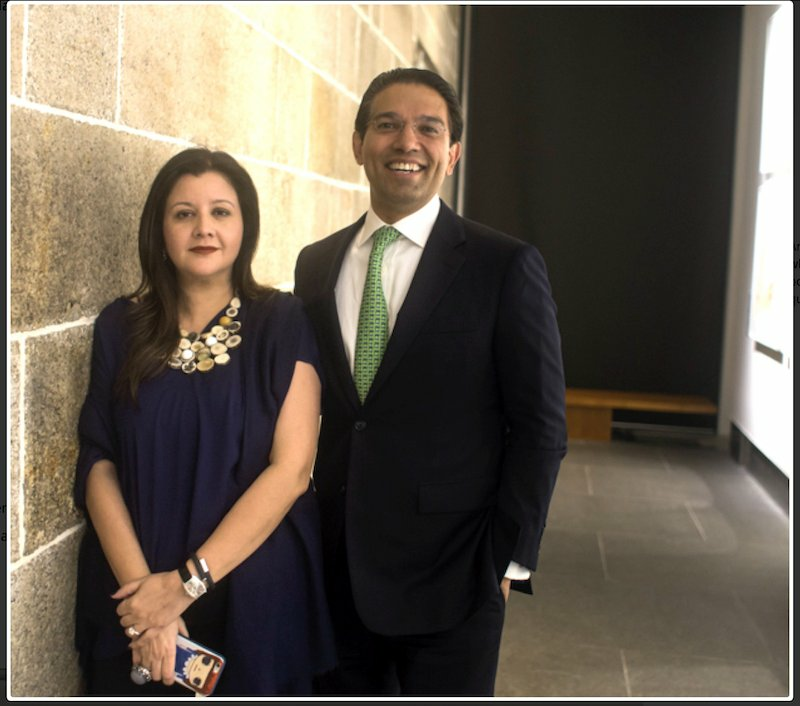 The couple founded the AAN Gandhara Art Space and the AAN Foundation as two platforms for the development of contemporary Pakistani art, both locally and internationally. We spoke with Amna and Ali in order to understand their way of collecting and to foster the Pakistani art scene. Can you tell us about your collecting philosophy? Amna: I feel that this collection, which Ali and I have built together, is a collection of stories. I’d call our way of collecting “experiential collecting”. We have been collecting for more than 20 years and our approach has changed quite a bit. In the beginning, it was always mostly about our personal experience. As you grow from being a collector to a patron, it becomes more about the viewers’ experience, because this is what drives you. So the collection moves beyond yourself and to others, and that energy comes back to you. This modality also applies when we commission projects. Then, we become collaborators with the artists. We are not telling them what they can do, but supporting them. It feels like liberating the art. I think we are increasingly moving in the direction of facilitating artworks. Do you have a similar approach to the AAN Foundation as when you started? Amna: Yes, the foundation is enabling that as well, as it is able to give audiences experiences that are outside of the purview of the four walls. For example, we commissioned a sound piece to Fazal Rizvi called Rooms Afloat. It consisted of people sitting in boats in the Arabian Sea, and the sound piece was basically a conversation between a fisherman and a fish. It was a metaphor for fishermen moving across borders in search of a livelihood. It’s about bringing the experience to others as well. When others are experiencing something, we experience it too. What is the relationship between your art collection and the Foundation? The Foundation is informed by the collection and a need to move beyond collecting. It was established to talk about stories and voices that are not usually represented or talked about, including younger artists. 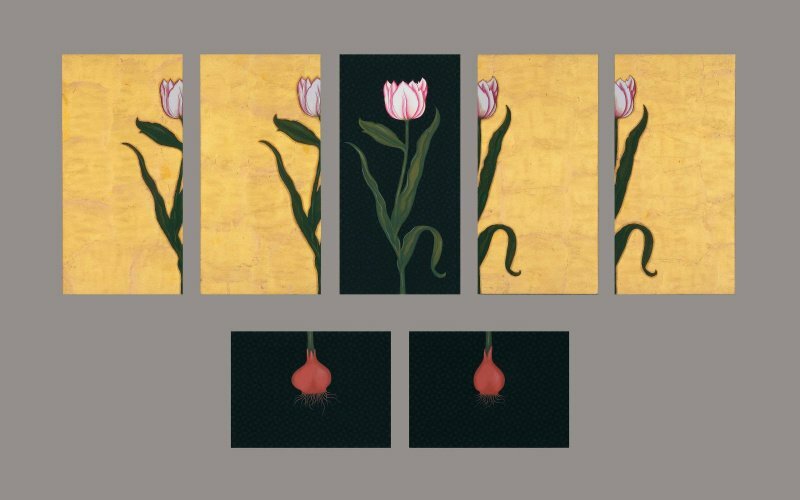 We might do a big blockbuster show, like Shahzia Sikander’s Apparatus of Power, at Asia Society Hong Kong but smaller projects as well, like a small project titled Scroll. The foundation is also funding a residency at the Centre for Contemporary Art in Andalucia, in Cordoba, Spain. 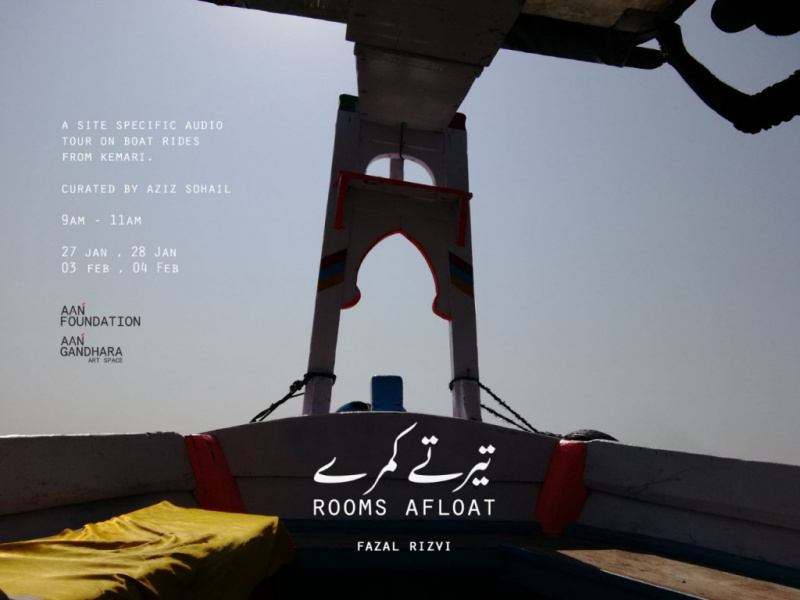 We’re sending a Pakistani artist, Adeel Uz Zafar, for a residency there, which is something new for them, as they only had EU artists before. Another initiative that we have set up with the Foundation is a research grant with the Lahore Biennale. Apart from being the the Central Sponsors to the Biennale, we are also funding this grant, which will be given to researchers so that they can study the shifts and movements in the art of contemporary, modern Pakistani artists. Ali: It is important to have a framework for the activities of the Foundation and a focus as your north star, because art is very creative and innovative by its nature, and you will always be tempted to come up with new ideas. So, the key is that you can see how to stay disciplined. However, we’ll keep experimenting with new ideas and try to stay flexible. AAN’s projects, particularly through Gandhara art space, have been a breakthrough for the Pakistani art community. Can you tell us how the art scene evolved in Pakistan? Ali: Pakistan, like India, had a very robust art scene in the 50s and 60s, with a lot of art galleries and a strong link with London, which was the doorway to the Western world. After our political crisis of the 80s, , visual art remained deeply affected. An ‘art famine’ began in the 80s and continued into the early 90s, during which time a number of modern artists passed away. You had some younger moderns who continued to work, but they moved to London. There was a serious lack of artistic activity in the country. Then, we come into the 90s and there was a revival of a new form of art, which we call contemporary miniature painting. This was unique to Pakistan because it was the traditional miniature technique applied to contemporary subjects. That attracted a lot of attention. Shahzia’s pieces, for example, were bought by some important museums, like the Whitney Museum. That started a whole movement and the external world started to notice. However, there was still a vacuum of exhibition spaces, both in the public as well as private arena, in Pakistan. There was hardly any art patronage and few collectors. The situation lasted for most of the 90s and we decided that something needed to be done.. In this context, what was your idea for starting AAN Gandhara Art Space? Amna: When I began AAN Gandhara Art Space, I started with two ideas. One of them was to introduce artworks from Pakistan here in Asia. 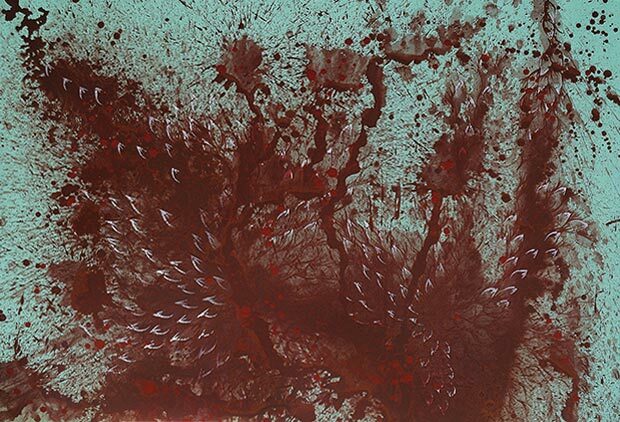 That could be supporting, for example, Shahzia Sikander’s video installation at Para Site Art Space in Hong Kong in 2009 or bring Imran Qureshi and Aisha Khalid’s solo exhibitions to Hong Kong Art Centre in 2007, 2010 and 2014. The other very important aspect was to bring international quality exhibition making to audiences in Pakistan and to support experimental forms, which were not known in Pakistan back then, such as performance, installation and video projects. Today, if you go to Pakistan, there is an ecosystem of art. It is still a fraction of what it should be, but there is finally a buzz there. Artists now know that if they create art, there is a framework in place to support them. This ecosystem is becoming more and more sustainable going forward. Does your energy go more into supporting or collecting nowadays? Amna: In my mind, I have never separated these two activities. If I was just a collector, I think I would be bored by now. Collections remain dynamic by getting their energy from other sources. So, for me, this means being able to show and collaborate with the art institutions, or being able to support interesting ideas with the foundation. This energises the act of collecting as well. Collecting doesn’t mean that I have to say, ‘Oh, this month I have to go and collect’. That never happens. It is not like I have to collect X number of pieces or have to fill X number of gaps. The act of collecting is focused, yet it is also driven by the energy that I get from other areas. However, patrons have to choose whether to use the budget to buy another piece of artwork that you like or support an event. How do you navigate this kind of choice? Amna: Overall, during the last two years, I think we’ve been supporting more than collecting. When I need to acquire a work of art, I’ll think about it more. When I support something that I really love, I’ll just go ahead and do it. It is much easier to convince me to support something, but if there was something that needed to be collected, I would think about it more. I think this is because we now have almost 900 works of art in our collection. So, if something has to go in the collection, it must be extremely compelling. Do you ever get tired of having so many projects at the same time and wearing so many hats? Amna: Not really. Art is what energises me. It keeps me the way I am. If I get tired, I’ll sit somewhere and read for 20 minutes, and all the fatigue will disappear. In a way, reading feeds off art or art feeds off reading. They go hand in hand. Of course, you sometimes have to choose between events and sometimes reject those that entail travelling. I now think mindfully about which events I want to travel to and which I would rather stay at home for. In the last ten years, the Hong Kong art scene has become so interesting I find there is enough cultural opportunity here as well. One last question. What is art for you? Ali: I think art is an experience. Art is pleasure. Art is learning. Art is education. Art is sensual satisfaction. Art is the ideas of a generation. Art is creativity, obviously. Depending on your mood and your type of art, a work can speak to you in so many different ways. I’m giving you a very abstract response, but I don’t think that I can reduce its meaning to just a painting hanging on the wall that you look at and then move on. It has many different meanings and reasons. Amna: Art shouldn’t make you comfortable. It should, instead, take you out of your comfort zone. When it does that, it can make you think deeply and those ideas can lead to the most amazing possibilities. I also feel that a work of art has the ability to change the way that a person thinks in an instant. I think that is the greatest power of art.